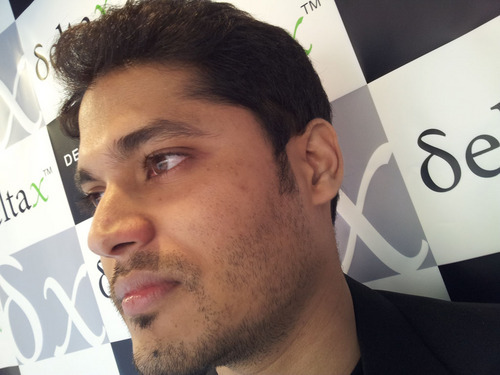 And now I say no more to corruption, Bcz I am Anna Hazare. But none after him taught me, how to put those words into action. But I see no punitive action. I feet robbed; I feet raped. Then Along came a man, Who voiced my opinion. Talked less, but prompted us to take the first step. I was not born when freedom fighters gave their life for the nation. But if we don’t stand up today, it would mean disrespect to their contribution. P.S. 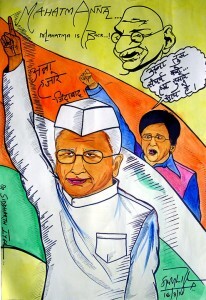 : Image uploaded above is a Portrait of Anna Hazare by Siddharth Iyer (source). Previous PostPrevious I hop… I takeoff!